Salespersons must meet a 12-hour continuing education requirement by their first renewal date and at each subsequent two-year renewal. Of the 12 hours required for renewal, salespersons must complete at least 3 mandatory hours in the course titled: “Required Salesperson and Broker Core.” A “Required Broker Core” class counts as an elective for salespersons. Salespersons who plan to become brokers prior to their renewal date, should include a “Required Broker Core” class as a part of their 12 hours, as the course is required to renew a Broker’s license. Hours completed as a salesperson do not carry over for renewal of a Broker’s License. Brokers must meet a 12-hour continuing education requirement by their first renewal date and at each subsequent two-year renewal. The “Required Salesperson and Broker Core” course covers brokerage relationships and misrepresentation. Once you take a CE Course, retain your Certificate of Completion in a safe place! Code of Ethics is a membership requirement of the National Association of REALTORS®. 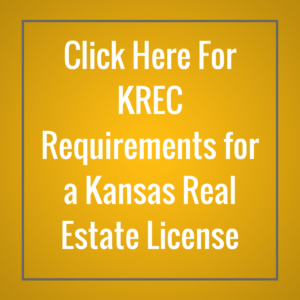 It has no bearing on renewing or retaining a real estate license with the Kansas Real Estate Commission. REALTORS® are required to complete a minimum of 2.5 hours of ethics training in two-year cycles. The current two-year cycle will end December 31, 2020. Training may be completed through local REALTOR® associations or through another method such as home study, classroom courses, or online courses. See KAR’s Education Offerings to fulfill your Code of Ethics requirements. Each licensee’s record is updated from rosters supplied to the Commission by the real estate school. The school is required to report the student’s attendance to the Commission with seven days of the course completion date, or by the license renewal date, whichever is sooner.